An "unbelievable orange glow" is set to descend on Alberta as the moon enters total eclipse on Jan. 20. This story was originally published Jan. 16. An "unbelievable orange glow" is set to descend on Alberta as the moon enters total eclipse. The phenomenon is so stunning, it's worth finding a dark place to catch a glimpse, says astronomy commentator Don Hladiuk. 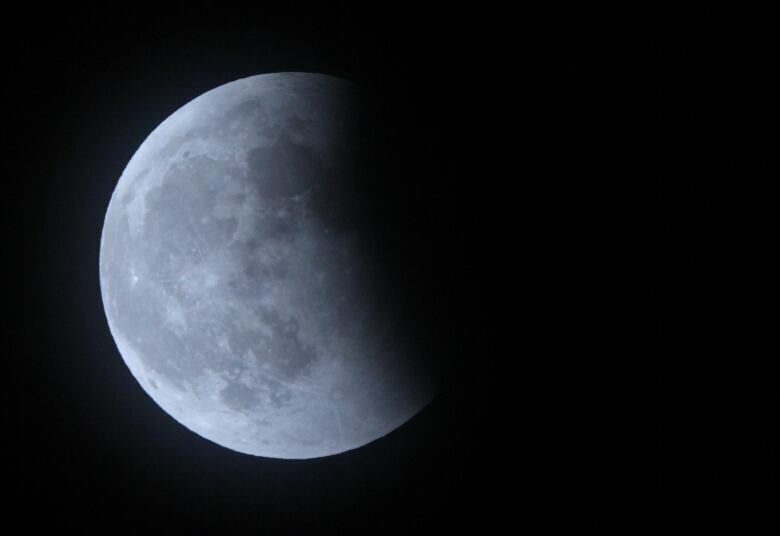 It will reach totality in Alberta at 10:12 p.m. MT on Jan. 20. "Keep your kids up, stay late because you're not going to see another one for quite a few years," said Hladiuk, a long-time Calgary Eyeopener columnist. The next total lunar eclipse won't be until May 2021, according to the Canadian Space Agency, which has an eclipse guide online. In Alberta, it'll be just visible over the mountains at it sets. 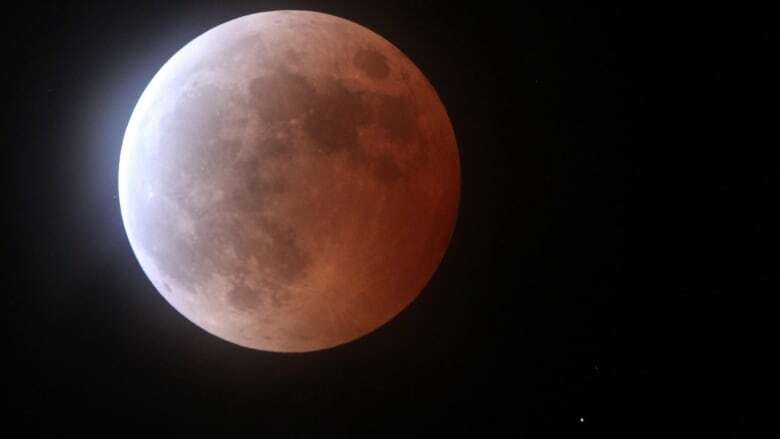 The next time a full lunar eclipse can be well-seen in Alberta will be November 2022 in the early morning, Hladiuk said. This month's event falls at an excellent time for viewing in Alberta, between 8:30 and 11 p.m. MT, Hladiuk said. Anywhere dark, you'll have a great view — and an even better one if you set a camera on a slow shutter speed. "If you're in the country, you can see it, for sure," he said. As the moon passes through the Earth's shadow, our atmosphere will also absorb the bluer, short light wavelengths bouncing off the lunar surface, Hladiuk said. The longer orange-red wavelengths will cut through, giving the moon a deep reddish appearance. The gleaming sphere, known as a blood moon, will be surrounded by glittering stars and the planet Uranus, which are usually drowned out by the moon's bright glow. Viewing a total lunar eclipse is generally quite memorable. Hladiuk remembers seeing his first one as a teen in 1975 with a couple of local astronomers. "We were in their backyard in Winnipeg, a beautiful summer evening — and the moon, you get this unbelievable orange glow in the sky," he said. "It just looks so unusual. Like, you know it's a full moon, it should be really bright, but it's not, and yet you can see stars all around it." For those in the Calgary area, the Rothney Astrophysical Observatory is holding a viewing on Jan. 20 from 8:30 to 11 p.m. MT. The observatory encourages visiting stargazers to dress warmly as it's on the top of a hill about 30 kilometres southwest from the city's centre, at 201 Avenue West, Highway 22 South. The event will be cancelled if the night is too cloudy, but the group will post on its website if that's the case. Take a good snap of the blood moon? Share your photos of Sunday's lunar eclipse by emailing calgaryphotos@cbc.ca, sharing on the CBC Calgary Facebook page or by tagging @CBCCalgary on Instagram.